Epony’s and my boys are grownass men now. I still am (not so secretly) crushing on tinyfaery.. I have a crush on Symbeline, but I’ve never made it a secret. I have not so secret crushes on too many jellies to name. If you pop into the chatroom and look at the list of who’s there, I have a crush on at least 90% of them, regardless of when you go in there. They’re all so lurvely. And I still have a crush on you. How can you have a crush on someone who you have not met? You might like them, but you cannot even be sure of gender in many cases. I know that at least one person posing as a twenty/thirty something girl is a retired man. (I know that as a fact – not a guess.) I also strongly suspect that another female poster posts both as herself and a male – has two accounts. 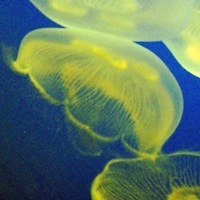 I like tons of jellies yet don’t have a crush on any of them. Hubbs wins Are you talking about a crush or just “I like you and would like to grab a beer sometime”? @Sarcasm Just admit. It’s mostly me. @IBERnineD Oh. I know I’m on that list. I KNOW IT. I just adore everyone here. @rangerr you’re on the list, but I dunno if it’s “mostly” you. Cyndi, Jane, Stella, Zen and George are in there too. @Sarcasm You’re going to break Wesley’s heart. I wish Stella was single I will tolerate Sarcasm instead. Yes, but I’m pretty sure he knows it. I’m wondering if the wee faery has any.. I have some feelings of camaraderie for several Jellies here, but a crush? Hmmm. I’ll have to think about it. tinyfaery, simone_de_beauvoir, allie, Miss Anthrope, janbb has cute feathers, and for the fellas: jeffgoldblumsbanger.and.two.mash, and gris. Maybe just a tad on one or two. I flirt a lot, but I wouldn’t say I have a crush on any. I usually lean towards realism and it’s not realistic to me. In terms of anything ever actually happening. I make no attempt to hide the fact I am madly in love with @johnpowell. Let’s be real here, though. @jjmah‘s swagga is undeniable. How could you not have a crush on @jeffgoldblumsprivatefacilities ? He looks like a cuter, sexier Matt Damon. My answer is @johnpowell (as if everyone didn’t already know that). And @jjmah, you’d better keep a tight leash on Bucky boy. And some random crushes here and there. The fella behind JeffGB is pretty. And, so is the wee faery. Ah, toss all of my crushes in. We’d make a cute baby jelly. I do love me some bald jew. @chyna He’s much cuter than Matt Damon. I’ve seen the lady behind the wee faery. She’s lovely (she knows it). @jjmah I always imagined she was this petite, fiery latina with a steely gaze. She’s exactly how I pictured her, as well. @rangerr Ah yes, I believe I said that. @jjmah I think you overstate. I’m not all that. But thanks. How do you like my curls? @benjjmahdrewim it’s like I have a crush on everybody today. Nope can’t say I do. Ah – they all look alike to me! What to do during irregular hand shake manoeuvre?